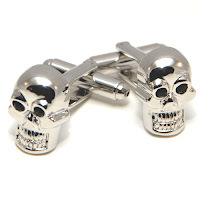 Cufflinks - the CuffSmart.com blog: Who's ready for Halloween? Ahh... fall is here. The air is getting crisp, the leaves are turning colors, and goblins are running amok. 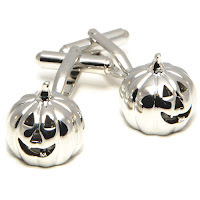 That's right... it's almost Halloween! 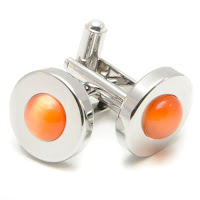 Get into the spirit of All Hallows Eve with these awesomely spooky cufflinks.